Zeich (or Gustavo Arteaga) is a digital and mixed-media artist from Spain who focuses highly on the fantastic. 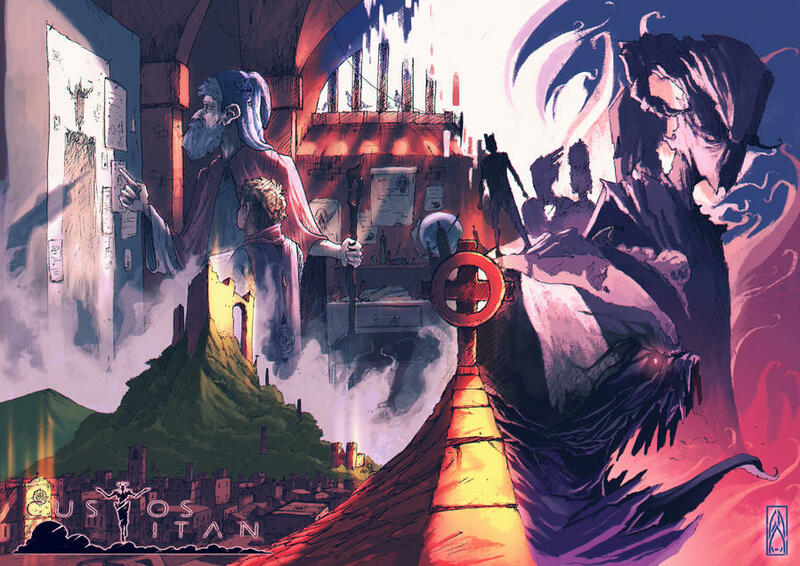 He currently runs a patreon to help support his comic Custos Titan. Zeich's work is very invocative to me and reminds me a lot of mid-to-late-1980's Capcom artbook works (Dungeons and Dragon's Mystara, Castlevania - Simon's Quest mainly).